Our fun Tractor Mug is a wonderful, personalized gift that dad & grandpa will enjoy. 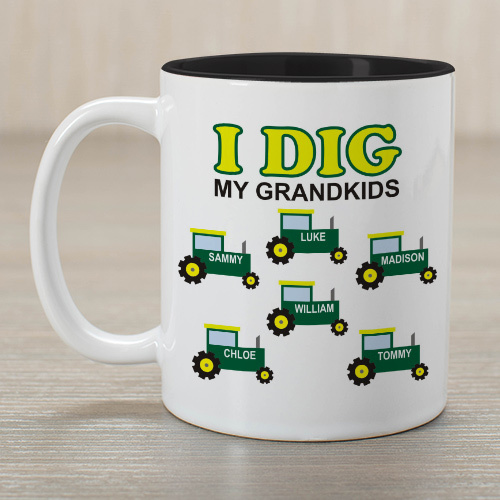 They will love drinking their favorite drink from this Personalized Coffee Mug and seeing all their children’s names printed next to their very own green tractor. Your Personalized "I Dig My Kids" Customizable Coffee Mug is dishwasher safe and includes free personalization. We will personalize this Tractor Mug for Grandpa with any title and up to 12 names. 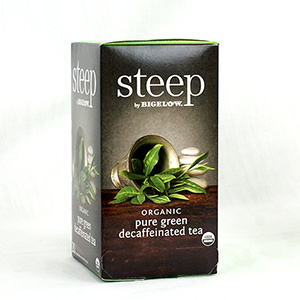 Mugs are available in different sizes ranging from 11 ounces to 20 ounces. Purchased for my father. Nice quality mug. Additional Details Shop our collection of Custom Printed Ceramic Mugs for the entire family! You are guaranteed to find a perfect mug that will fit the needs of your gift idea. Personalized Ceramic Mugs are excellent gifts for grandma, grandpa, mom, dad or anyone on your shopping list. Grandpa & dad will also enjoy our Personalized Our Hearts Belong To Mug & our Personalized Keepers Ceramic Mug as well.